Born and raised in Greece. Anything on the water comes naturally to him, having grown up in Piraeus, Greece. Married, with two children. Captain Vangelis has thousands of nautical miles under his belt. He holds an A´ Class Master Captain´s License and has graduated from the Merchant Marine Academy of Oinousses, located in Chios, Greece. Vangelis has started his long career at sea during his youth, on board large tankers and cargo ships. Vangelis has so many stories to tell from his travels around the world! He also holds a diploma of offshore sailing, of advanced medical and a life safety certificate. He was introduced to the yachting industry in 1996 when he started being the captain on various motor yachts and sailing vessels. He has been entertaining visitors for the past 20 years! He is the captain on Elvira, since the year of 2009. Captain Vangelis´ passion is to ensure that each and every guest´s need is catered to and all aboard the luxurious catamaran Elvira feel safe and secure while cruising through the beautiful Greek Archipelago. He has tremendous knowledge about each Greek island and loves to deliver his knowledge to his guests! He speaks English, basic Portuguese and Greek. Captain Vangelis is a well-traveled and versatile Captain, with a friendly and fun personality. 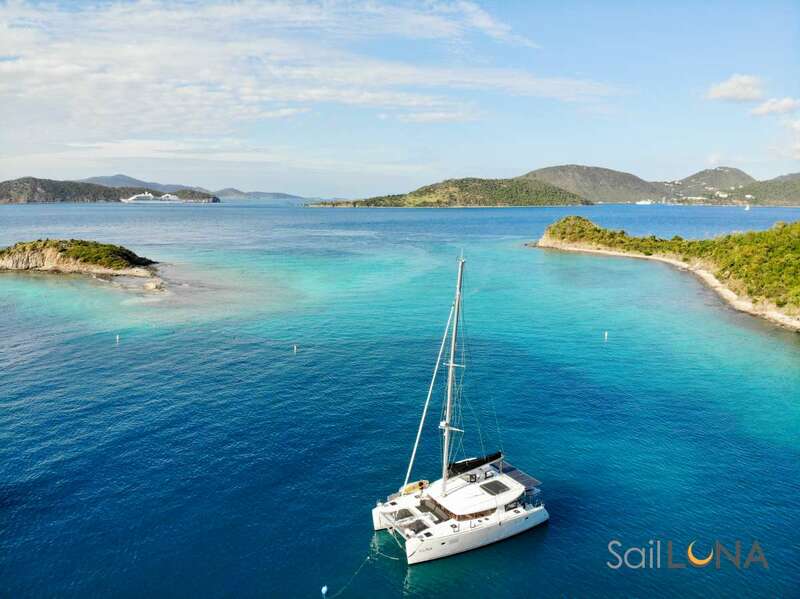 Get prepared for a tailored and unique sailing experience aboard ELVIRA! Dimitra grew up in the coastal port city of Volos and has spent most of her childhood reading, learning martial arts, and attending traditional dance classes. During the holidays, she loved spending time at her father’s village on Pelion Mountain. This is where her love for the sea, swimming, fishing, and gardening was born. It took some time, however, before Dimitra decided to dedicate her life to sailing and tourism. She earned her degree in Administration Engineering in 2009. Right after graduation, Dimitra started working in sales. She went on a one-year internship in Marketing in Ghana (W. Africa) and obtained an MSc in Social Anthropology. In 2015, Dimitra decided that an office job is maybe not the right career for her and started working as a hostess on daily cruises on the Milos Island and weekly cruises on the Sporades Islands in the Aegean Sea. Besides being a hostess, Dimitra carried out boat deliveries, worked as an assistant manager in French-Alps chalets during the winter season, and as a waitress in café-bars. Now she is a part of our crew on Elvira. As a self-motivated enthusiast and a genuine customer-oriented person, she is here to provide interpersonal and excellent service. She is fluent in English, can communicate in Spanish, and is now working on her French. Konstantinos, or Dino, as he likes to be called, has shown interest in sailing ever since he was a young boy. At the age of 15 with the help of his father Vangelis who was his teacher at sea, Dino started his career as a deckhand. Today, at 24, Dino holds a Bachelor´s degree in Maritime studies, has a speed boat operator license, and an offshore sailing diploma. He graduated from the University of Piraeus in 2017. As soon as you meet Dino, you’ll be overwhelmed with his youthful charm and his passion for sailing. With excellent knowledge of the Greek Islands, Dino takes pride in his work and is always more than happy to offer excellent service and meet the guests’ needs. Whether you need assistance with water toys or wish to learn more about the history of the Greek Islands, Dinos is the right person to talk to. Communicating with Dino is not be a problem at all, as he is fluent in English, Greek, and German. Send us an inquiry to get specific pricing for Elvira. We currently don't have any reviews for Elvira. We currently don't have a sample menu for Elvira. Please inquire for more information.